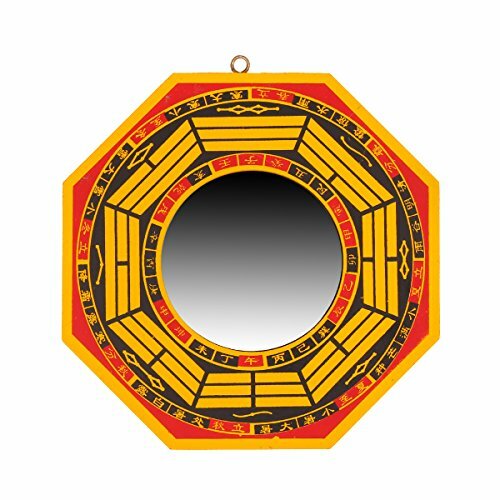 The Chinese symbol of strength can be used in decoration to bring balance and harmony to both business and the home. However, it is important to use this or any Feng Shui symbol properly for overall promotion of well-being. If they aren’t used carefully and with intent, then their power is lost. Feng Shui, also known as geomancy, is the belief in the effectiveness of using directional alignments of rooms, symbols and colors to balance individuals and spaces with their environment. This is accomplished by promoting the harmonious flow of energy that exists around spaces and individuals in the best possible manner. The design will ultimately depend on the desired end result. These Chinese symbols and images can be used in overt and subtle ways. Through color and placement, they work together to accomplish this energy balancing. These symbols can be used in both business and the home to promote well-being and positive energy. However, it’s important to use these symbols wisely and with specific intent. The simplest incorporation of the Chinese symbol for strength into Feng Shui is to use the character that stands for strength, Li. This character in Chinese writing has a very similar appearance to a hand drawn plow. One explanation for the design may be reminiscent to when all farming was strictly manual labor. Great strength was required to plow the fields even with the help of animals. Another meaning for the Li character translates to power, force or one’s best effort. Inclusion of the strength character in decoration serves as a conscious and subconscious reminder that the space it occupies denotes strength, making the inhabitant(s) feel stronger. It helps to channel positive energy and that being strong in this space rewards such efforts. Feng Shui is seldom so straightforward or one dimensional as just placing a character in a space. Just as one layers clothing in cold weather, Feng Shui applications work on multiple levels to promote the flow of positive energy in a space. Mirrors are a common tool used in Feng Shui to reflect positive energy into all areas of a room. How we see ourselves is reflected in our presentation to others. In business, a mirror with the Li symbol on the frame can be placed on the wall opposite the speaker in a meeting room. This allows speakers to see their appearance as their audience perceives them. Speakers can then monitor that they present a strong competent face to the meeting attendants. This also reinforces the speakers’ confidence and makes her or him perform better. The mirror’s frame should be of a strong color choice. Red is the most common color in Feng Shui to indicate strength of purpose, resolve or personal power. Combining a power color with the Li symbol and reflecting that reinforcing energy in a mirror acts as a powerful subliminal reinforcement of strength, power and competence to the person so reflected. Feng Shui also incorporates direction into its placement of symbols and colors. The south represents the area of fame and reputation, and the north is the area of career. Therefore, the southern part of a building should house Chinese symbols of strength. In contrast, personal offices should reside in the northern part of the building, reinforced with symbolism important and meaningful to each occupant and reflecting her or his place in or desire to advance in the business. If the building was not designed with Feng Shui in mind, then alternate symbols can be used as needed. Some symbols of strength and power cross cultural lines, and some are very personal and specific to the individual. 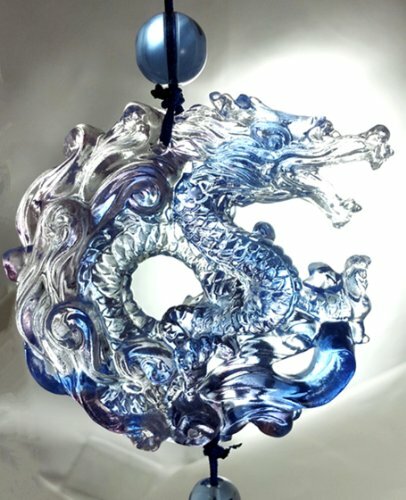 The dragon, a common symbol of strength in Feng Shui, is strong both in terms of physical power and strong in knowledge due to its great age and acquired wisdom. Dragons are often red in color or red on a gold background. The latter is especially applicable to business decorations rather than in the home. Metal colors, such as silver and gold, allow energy dealing with money and business to flow well. Red is the color of strength in fame and reputation. Therefore, an executive with a picture or hanging of a gold dragon on a red background behind him or near his desk conveys those characteristics of the dragon as part of his personality to anyone seated across the desk. Combining elements of color, material and symbolism allow for subtler and more powerful guiding of positive energy. Another example of decoration and artwork from a standpoint of strength is that of the horses. Images of running horses convey feelings of strength and power in motion. This artistic motif can be used in areas of a business where decisions are made and decisive action is needed, such as in the strategy room at a law office or in a meeting room where mergers and acquisitions are held. Again, using red as the color of strong passion and drive, images of red horses in motion show moving as a strong group action. Feng Shui images are about reinforcement and positive feedback. The last animal example of the Chinese symbol of strength in Feng Shui comes from the Okinawan karate style of Shotokan. Shotokan is a very linear and power-oriented martial arts style, and its best-known symbol is the Shotokan tiger. This symbol is at the front of traditional Shotokan dojos, or training schools, and reflects the ideals of the style’s founder, Gichin Funakoshi. The tiger symbolizes both strength at rest and ferocious power in action. The tiger is made up of many individual lines that compress on each other to form its shape, emphasizing to the students that karate requires mastery of many individual parts to make a coherent whole. Finally, the tiger is located in a circle; symbolizing restraint in using the power being taught in the dojo. The tiger and its background are commonly red and black, symbolizing the heated passion of ferocious attacks restrained by the cold logic of restraint. The Shotokan tiger is a symbol of the style’s belief reflecting back at the students every minute they spend in training. 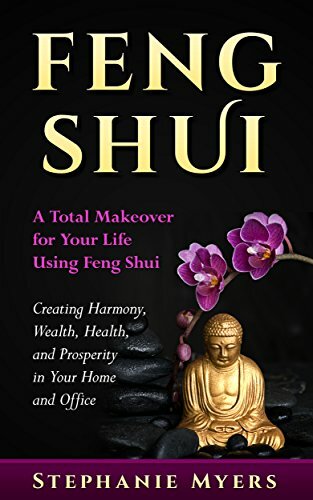 Feng Shui is not just for business spaces; it is just as important, if not more important, to promote good energy flow and positive reinforcement in the home. Use of symbols of strength in the home, however, could easily channel energy that is counter to positive reinforcement, so it must be used carefully. For instance, the bedroom should be a place of both passion and relaxation, so painting the entire room red would overload the strength of the color and focus the energy in the bedroom on one thing only. Instead, it is better to use accent pieces to convey the strength of the passion in the amount that you desire to be present. In Chinese mythology, the Red Phoenix of the South rules passion and strong feelings, so locating the master bedroom in the southern portion of the house and decorating with red pillows and accent pictures of the red birds is an excellent use of an appropriate symbol of strength in passion. This would bring in the symbols and colors of power without overloading the room. A home office can be a place of both strength and change. Depending on the profession and commitment to working from home, the home office may fit best in the northern part of the house, the area of career and life path. Symbols of strength to be displayed in art or decoration could include mountains (strength in repose) or scenes of crashing waves (strength in motion). Symbols of strong water action could be used to channel energy to make career changes, perhaps transitioning to a more entrepreneurial and individualistic career path. This would be in contrast to the symbol of the horse explained above. In the home, the horse can be symbolic of the herd going in one direction, which might be more useful in a traditional business office space and not in the home. Symbols of strength in Feng Shui can be applicable to many people, but the most correct in any given application are the ones that have a personal connection to the person in the space. The Chinese symbol for strength in Feng Shui is more than just the written character. It encompasses the use of color, personal symbolism, directional placement according to the compass, as well as materials and shapes. The concept of reinforcing strength and power or giving it one’s all in personal and/or business endeavors is one common application. Another is to create surroundings that reinforce in others your personal power and reputation when they enter your space in the business world. Symbols of strength in decoration can also be used to promote team dynamics and the spirit of striving together toward a common goal. Feng Shui, with its concept of harmonizing energy flows, may not make total sense to everyone, but its underlying concepts of psychological reinforcement and symbolism can be found in many schools of architecture and interior design. Regardless of what you call it, using the Chinese symbol of strength in a Feng Shui application can be beneficial even if the benefit is subconscious.